Last month, I went to Changchun (长春) Jilin, Northeast China for an overseas assignment. In-between the little bit of free time that I had, I went searching for 3D and design-related books. The thing I like about buying books in China is that the books there are very affordable. Often they will only cost a fraction of what you get for a similar book in English. And just in case, you think that the content are second-rated, you will be sorely surprised. Some of the best 3D related books that I have bought are in Chinese, from China. Now, not too far from the hotel that I was staying, there was a bookstore. I was pleasantly surprised that they carry a lot of 3D and Design related books. Of the 3D computer books, most of which are related to 3DS MAX (as expected). There are also a significant number of books related to Vray. Of course, all the books are in Chinese. 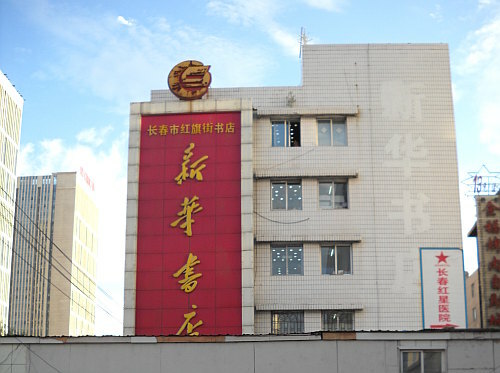 Below is a photo of the bookshop 新华书店. Now, my primary reason for being in a bookshop is to look for Blender3D related book. I was not disappointed. I was happy to find the Blender 权威指南 the Definitive Guide there. This is a book by Ethan Luo who is an expert Blender user who did the award winning ‘Floating’ which won the Blender World Cup 2009. The book costs 89 RMB, which is approximately 14 USD. For a book of this caliber, it is a real bargain. This book is written in simplified Chinese and it may seems awkward that this review of it is in English. Unfortunately, English (to me) is an easier-to-type language than Chinese. This is a 600+ page book. The first portion contains interviews and descriptions of notable personalities in the Blender community. It also contain interesting peeps into what certain established Mainland Chinese Blender users think about the software. The Guide Book covers most of the features and tools of Blender 2.5 series and more. All tools are described in clarity and there are ample examples to illustrate the effects of some of them. When you read the book, you can feel that the author is doing his utmost to point out subtleties among the various options of the tools. At times, it feels like one is given free lessons on what goes on behind the inner workings of the options. Additionally, you will also be amazed at how much the author knows about Blender. The book really is in several distinct parts. The front portion of the book is mainly is about how to operate Blender and its myriad features and tools. The second part is tutorial-styled that shows how Blender can be used to create high quality work. I thought the selection of a hard-edge machine modeling and a organic-style human modelling shows a very wide and thus suitable scope of instruction that demonstrated not only Blender’s depth, but also the author’s mastery of the software and 3D-related techniques as well. I certainly learnt some cool stuffs from the materials in this book. This book also covers the other software programs that support Blender, notably the external renderers such as Yafaray and Luxrender. There is a tutorial-styled chapter that is devoted to the usage of Yafaray. In this case, it involves an interior design-styled modelling and rendering exercise. Books about Blender written in the Chinese language are sparse. Luckily, there is a very good one to fill in the missing gap. This book provided good Blender 3D Training materials. This book is written by a great Blender user who have great mastery in terms of artistic expression as well as technical-know how of 3D. 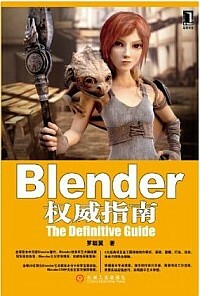 For one who can read Chinese and is into Blender or 3D in general, I highly recommend this book. My Blender method is not kroeyabd driven, I use very few shortcuts and teach none. The way I do it is all point and click, over time I have learnt a few shortcuts but, generally, I find there’s enough to learn without them. It is quite intuitive if you play around a lot, and the new UI is generally an improvement but it does take time to get to know it well.It is possible to learn a few basic uses for Blender like learning a few tunes on a piano and with some people that will be a preferable way to learn rather than trying to achieve an understanding of everything Blender can do before they start. Learning all the shortcuts on top of all that sends most people running for cover and a drink.